Hi there! It’s so good to be back with Melissa and you today. Can you believe the holidays are already sneaking up on us? I’m really excited to share a renter and small space friendly decorating hack that will help make decorating for the holidays less stressful by saving storage for seasonal decor. When it comes to seasonal or holiday decorating it can be tricky to have enough space to store and display decor. An easy way to save on storage space is to decorate with printables! By swapping out art prints you don’t have to store seasonal art, you’ll save money and time, and you can use easily use them in every room. Seriously, they are so much fun and such a great way to bring in the right pop of seasonal colors with the rest of your decor. Let me show you! Pinterest is a quick and easy choice. Please make sure you are going directly to the printable source and note that most creators only want you to download and print for personal use only. The New York Public Library is one of my favorite places. You heard that right! Did you know that you can download and print anything from the NYPL digital collection? 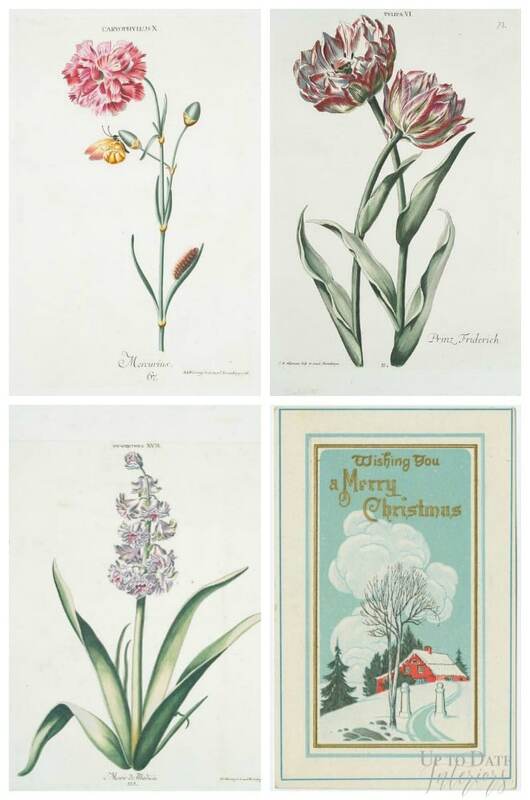 Try searching “Christmas” for vintage postage cards, or “botanical” for beautiful illustrations. If you don’t mind spending a little money, try looking on Etsy, Society 6, and Minted. You can find examples of these prints in my dining room makeover. Tip: Just buy the UNFRAMED print so you can easily switch them in and out of your own frames seasonally and keep costs down. You can also create your own printable using online photo and image editing software like Picmonkey and Canva. Start simple with your favorite holiday quote in a great font. This is the fun part! 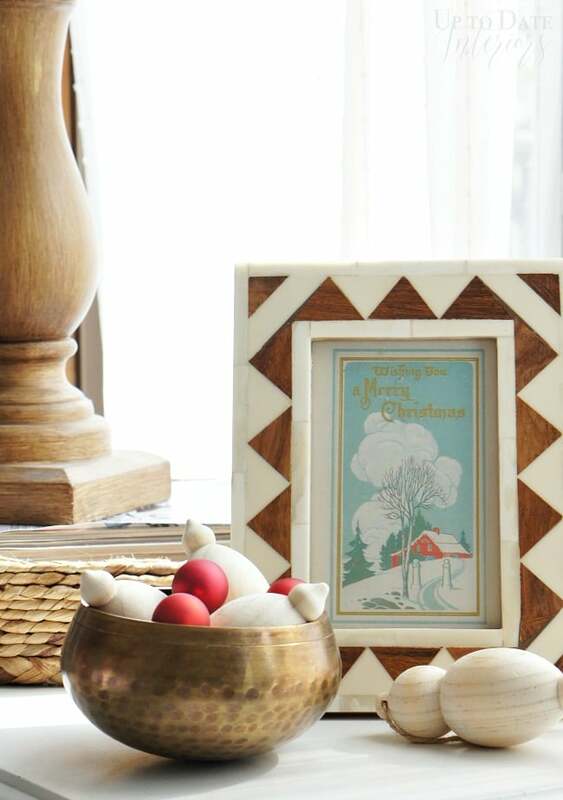 When switching out prints for the upcoming holiday, add a few small elements of seasonal decor for an instant seasonal vignette! 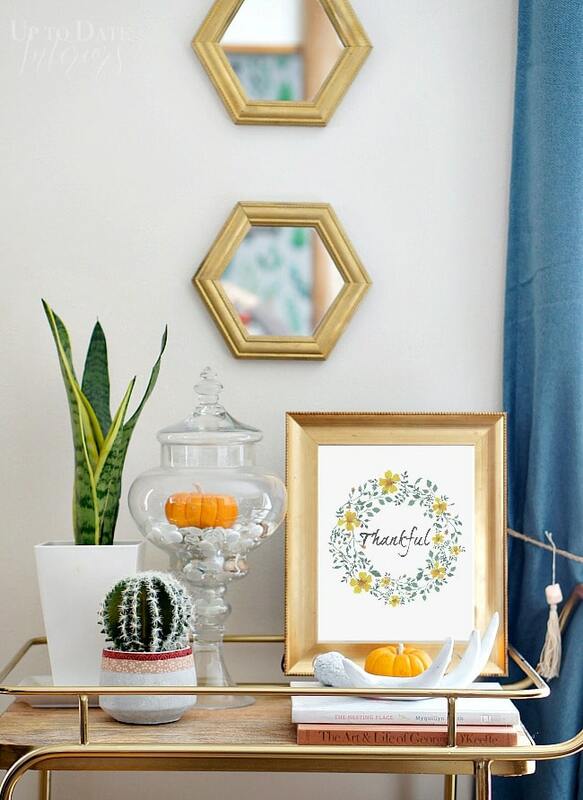 Here’s our Thanksgiving shelf with a couple of pumpkins and a Thankful printable. And here’s the same space set up as a Christmas shelf with ornaments, a bottle brush tree, and a Christmas printable. You can also add a print to a smaller family photo frame temporarily. 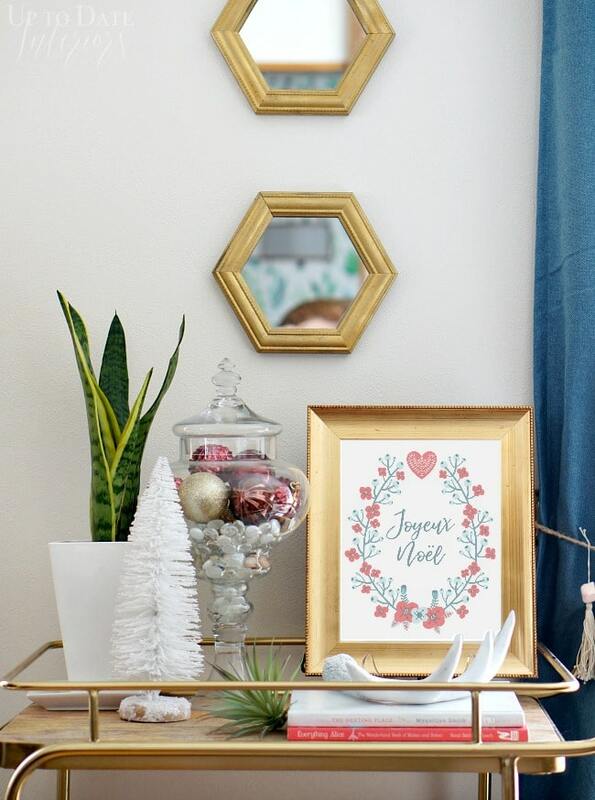 Store the prints in the frames to rotate them out regularly, or just use fresh art every season and holiday to keep things interesting. 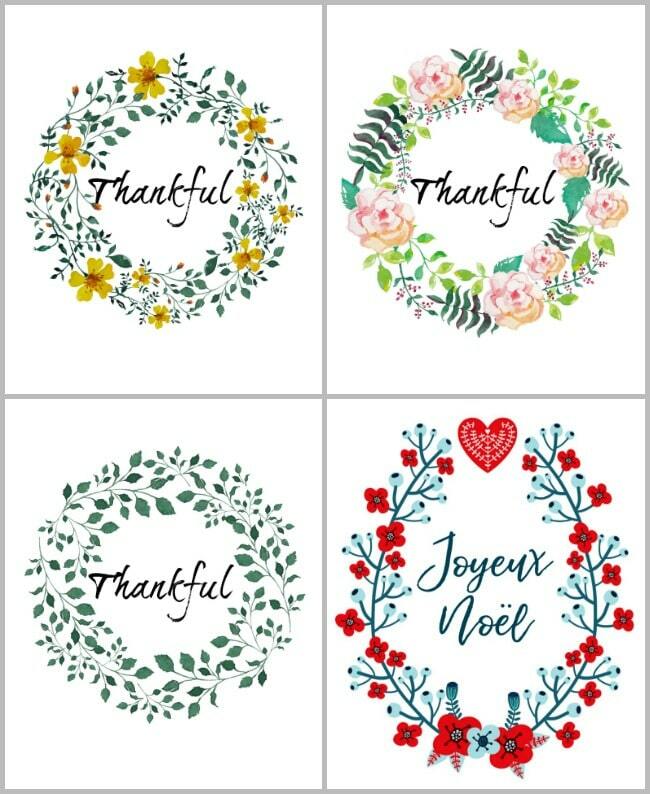 I would love for you to use these free seasonal printables I have created! Just sign up HERE and you will be redirected to the download page. Isn’t this easier than having to store framed seasonal art? Do you have a favorite free printable? Add a link in the comments below so everyone can check it out!